1 of 1 Chop artichokes; combine with tomato, salt and pepper. Stir in reserved artichoke marinade. Meanwhile, cook pasta according to package directions. 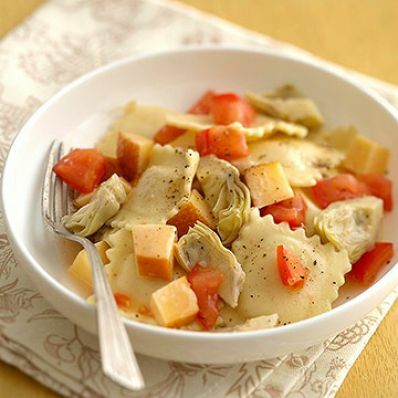 Drain; toss with artichoke mixture and cheese.